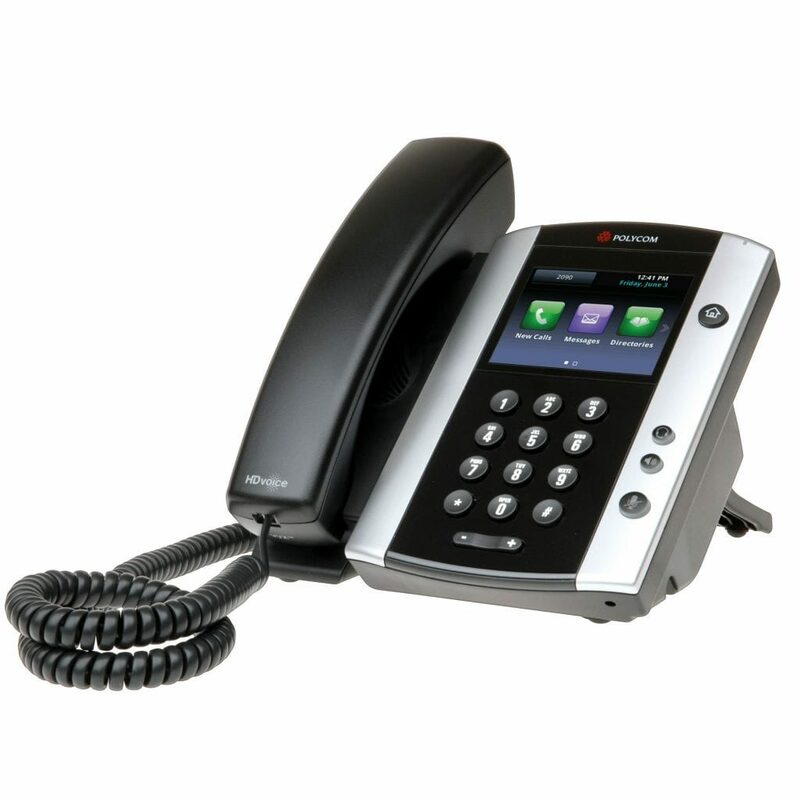 High-quality audio applications and capabilities combine with a single powerful & convenient UC system when you use the Polycom® VVX® 500 performance business media phone. This phone provides employees with the perfect set of solutions all found within a single device and it can integrate quickly and seamlessly into many different UC scenarios and different sized businesses. The 500 integrates powerfully with existing computer-based workplace applications (such as looking at an Outlook calendar on this device and extending the desktop to access the phone’s display using a mouse and keyboard). The VVX 500 also improves and enables training and multi-point communication within your organization by providing video playback capabilities (designed for streaming content). With this device, employees can also receive access to other streaming content including sports, news, weather, stock, and other feeds. What’s more- the VVX 500 is also continuously improving, with expansion modules and application accessories poised to enable wireless networking, video conferences, and other functions.